4 August 2017 Molly C.
Third in a series on my Charboneau ancestors in New York’s Adirondack foothills during the summer of 1934. Family reunion of the Charboneau clan was held Sunday, Aug. 12 – 1934 at the home of Wm. Charboneau on the Moose River at Boonville, N.Y. A large gathering were there. Ray, Owen and Norman attended from here. Next year’s reunion is to be held in Prospect Park. Pa Charboneau was the oldest member of the family at the reunion. I vaguely remembered seeing a news clip about this reunion, so I took another look at the Old Fulton New York Postcards website. Sure enough, there was a write-up of the event in the Aug. 14, 1934, evening edition of the Rome Daily Sentinel. The annual reunion of the Charbonneau family was held on the spacious lawn at Riverside Farm with Mr. and Mrs. W. D. Charbonneau and family. Dinner was served with covers laid for 64. My grandmother’s journal entry said my paternal great-grandfather (Pa) was the oldest at the event — and the news clip backed her up. The oldest member present was William L. Charbonneau, 78, Dolgeville, and the youngest was Clifford Charbonneau, age one and a half years, Old Forge. The extended Charboneau family was large enough back then to elect officers — though I am still parsing out how they and the other attendees fit into my Charboneau family tree. Officers as follows were elected: president, Charles Donnelly, Utica; Vice President, Lawrence Charbonneau, Utica; secreatary, Mrs. William F. Karlen, Utica; treasurer, Mrs. Peter Zimmer, Oriskany. 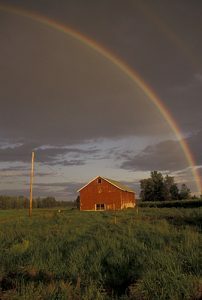 Curious about the venue, I did a bit of research on Riverside Farm and found a 2003 obituary for Douglas Charbonneau, 86. It said he lived on the farm as a child with his parents Louis and Vera (Jenks) Charbonneau. According to the 1934 Daily Sentinel clip, all three were at the Charboneau reunion — as was Douglas’s brother Billy. Douglas would have been 12 at the time. The rest of the guest list — detailed in part in the clipping above — is a roster of Charboneau relatives and in-laws , with the furthest traveling from Albany, N.Y., to attend. 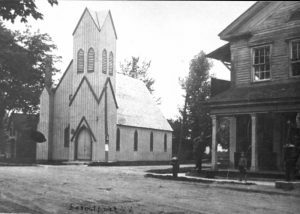 When my dad (Norm) and I began researching our family’s history together, he told me he remembered going to a Charboneau reunion near his Otter Lake home town when he was a kid. Perhaps this was the one. According to my grandmother, my father went from our branch of the family — along with his father Ray, 46, and his oldest brother Owen, 23. Dad turned 10 in July 1934, so he was old enough to retain memories of such an impressive gathering — and I regret I never asked him more about it. Yet my grandmother’s journal and the Rome Daily Sentinal have helped fill in that gap — providing valuable details about the Charboneau reunion that made such an impression on Dad as a boy. Up next: A recent family reunion of my grandmother’s Dempsey-Owen family. Please stop back. 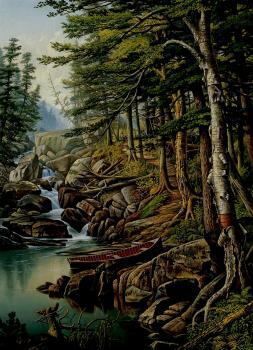 First in a series on my Charboneau ancestors in New York’s Adirondack foothills during the summer of 1934. 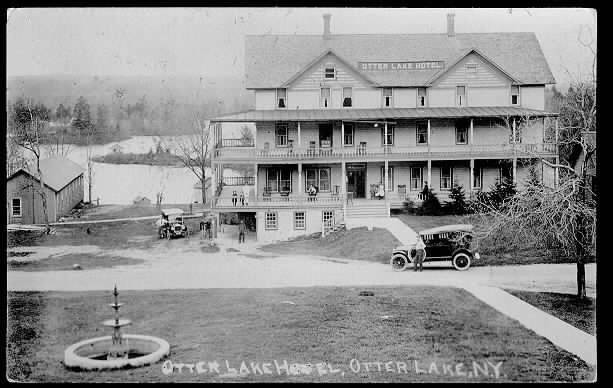 During the 1930s, my paternal grandparents William Ray and Mary (Owen) Charboneau operated the Otter Lake Hotel in the scenic Adirondack foothills of New York State’s North Country. 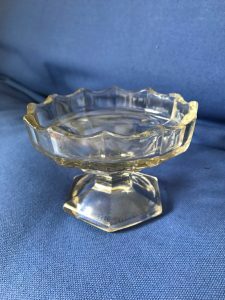 My grandparents were known as Ray and Molly to family and friends — and they did their best to entertain hotel guests and encourage return visits. Since the hotel was closed during the winter, one of the high points at the end of each summer season was the Christmas-in-August party before the last guests departed. This book was given to me by Mrs. O’Donnell at a Christmas party held at Otter Lake Hotel August 14 – 1934. 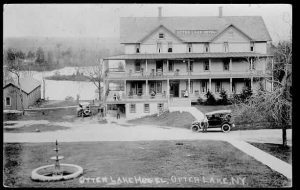 A very lovely Christmas party was held at Otter Lake Hotel on August 14 – 1934. A lighted Christmas tree and presents with a poem for each was a feature of the occasion. Mr. James Burris made a delightful Santa Claus. After the tree and presents, the rest of the evening was spent in parlor games and music. Singing was enjoyed by both ladies and gentleman. Guests at the Christmas party – Mr. & Mrs. Louis Migurt, Miss Adelle & Hilda Migurt, Mrs. Nora O’Donnell, Miss Lillian Hundley, Miss Jennie Wilson, Mr. W.R. Wilson, Mr. & Mrs. Edward Manning, Mr. & Mrs. P. T. De Vries, Mr. James Burris, Miss Margaret Saum, Mr. Wm. Charboneau, Mr. Frank Owen, Norman Charboneau, Frederic Charboneau, Mr. & Mrs. W. R. Charboneau. My dad, Norm, was 10 years old at the time. Uncle Fred, his brother and hotel roommate, was 16. My paternal great grandfather Will Charboneau, 76, lived locally. My maternal great grandfather Frank Owen, 72, was from Baltimore, Md., and known as “Pop” to the family. My grandfather Ray was 46 and my grandmother Molly was 45. I once asked my dad about Pop’s presence at this gathering. He said by then Pop had given up his Baltimore, Md., home and took turns staying with one or another of his children throughout the year. 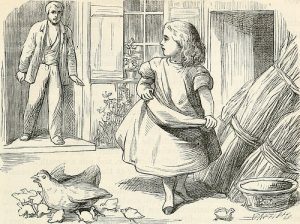 My grandmother’s turn came in the summer so Pop could spend the hot months up north at the hotel. That’s how he ended up at the August Christmas party. Pop was born in Wales and Dad considered him quite a character. “Every day he would put on a World War I pith helmet and march across the street and up the hill to Norton’s store, near the railroad tracks, to pick up the mail,” he said. A cousin told me Pop also drank a daily glass of Epsom salts and took cold bath as a constitutional. I am grateful to Nora O’Donnell for giving Grandma Charboneau the “Self Book” that inspired her to write about this party and several other happenings that summer. There was even a brief entry about a Charboneau family reunion! More in the next post. Please stop back!